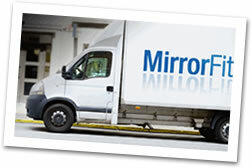 MirrorFit.co.uk, being part of Sumner Mirrors and Glass, one of the UK’s leading suppliers and processors of mirrors and glass, is able to offer a complete ranges of mirror and glass services and products. Our showers are all individually made to your bespoke design. They are all made in glass ranging in thicknesses from 8mm to 15mm and are all toughened. All shower fixings (including handles, hinges, tracking) are sourced from a leading German manufacturer. Additionally, our in-house design team can help you design your perfect shower. Please contact us for more details. Splash backs are all toughened as required and cut to your exact specification. They can be fitted on any wall in kitchens or wet areas and holes for sockets and electrical fittings are easily cut within the glass . We offer an almost limitless range of colours. Create the WOW factor in any room with a coloured glass or mirrored wall. We work with many of the major interior design and show home companies to make their designs in glass come to life. Sumner Mirrors and Glass are able to use a technique called UV Bonding to glue glass to glass seamlessly. The seam is translucent giving the effect that the glass is held invisibly. The bond is stronger than the glass itself. We can make glass furniture to your unique design, however if you require the help of one of our designers, please contact us. The popularity of designing your own glass furniture and the services of our designers has orchestrated us into setting up our own specific website tailored to meet our clients demands. 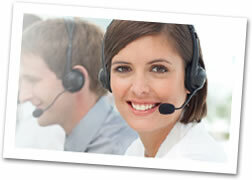 This website will be available shortly… watch this space, in the mean time, contact us for further information. UV Bonding is a technique where glass can be seamlessly bonded to glass. The bond is stronger than the glass itself. UV Bonding can be used in many way, for example, glass shelves can be seamlessly bonded onto mirrors, display cabinets can be made with no fixings and glass furniture can made to your own design. We offer a wide variety of coloured glass. Glass can be made to your specific requirement or colour (RAL or Dulux numbers are required). As we use low iron glass this gives an exact colour unlike normal glass which is slightly distorts the colour due to the iron content which is green. Sumner Mirrors and Glass work with some of Italy’s premiere kitchen designers offering a taylor made design solution. We make glass worktops which incorporate sinks and hobs and even rise and fall extractors. All glass can be coloured to your exact requirement and is generally made in 19mm toughened low iron glass. A new concept, working alongside some of London’s elite kitchen designers, we can design and install glass canopy extractors to your exact design. We can supply all fittings and also offer advice on specifications.